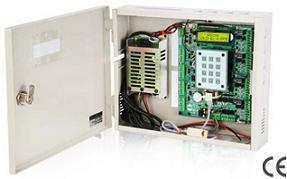 smartXS is compact and robust 'Access and Time Attendance' system. In current scenario where security requirements are becoming stringent, we provide different access control and Identification systems to meet modern security needs. Since all access control decisions are made at the controller level, the system is not dependant on the host PC for normal operation. It provides seamless integration with conventional proximity, Mifare, HID and biometric readers. The controller provides a range of additional features such as anti-passback, and access time zones.